With no hint of understatement, the ‘Extreme’ in HJ Hall ProTrek Extreme Merino Wool Technical Heavy Weight Socks indicates the manufacturer’s intent to provide the best environment for your feet in even the most demanding terrains. These Merino wool rich socks are super-soft and anti-bacterial, with enhanced moisture control, TriSeal water and stain-repelling treatments and also outstanding thermal properties. 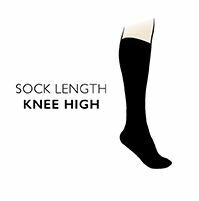 The skilfully-made socks have high density cushioning with a full lace guard to the shin, and a double comfort top. Irritation, abrasion and chafing are minimised by hand linked toes for smooth seams and targeted flex zones that prevent bunching in the front of your foot, while ankle bracing and arch support ensures that the socks stay in position throughout your day’s activities.